Messengers users are going to get annoying ads. 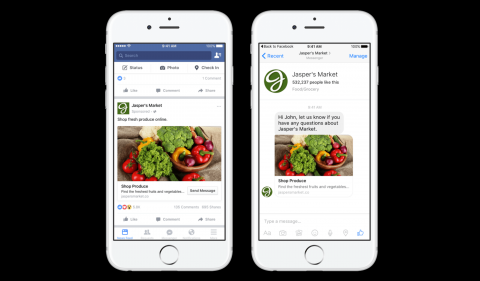 Facebook will show automatic video ads when running personal messages in messenger. According to a technology website Rikode, Facebook has found a new place to sell video advertising. This advertisement will be shown after the message received from someone inside the messenger. That means users will see ads when chatting to the user. That means the end of the day of ad-free chat! The first ad in the messenger starts showing 18 months ago. At that time 'static' ads were shown. That means the video advertisement was launched on Facebook But now there are more than Facebook profits when it launches video ads. Because, Facebook earns more than video advertising and costs more. Earlier Facebook had said that there is no other place to show ads inside Facebook. Since then, the company started showing advertisements in messenger and marketplace. Users may feel annoying at the start of showing autoplay ads inside the messenger. Messenger's advertising department director Stefanoos Lukakos said that they are aware of the causes of human frustration. They will monitor user behavior If people are used to seeing these advertisements, or turn off messenger, it will be monitored. Stefano said, 'The main importance to us is the user experience. We do not know whether the autoplay video ads will work in the messenger. When general advertisements were shown, there was not much change in sight. But the video may be a little different. But there may not be much difference.